Exquisite Weddings Magazine, a publication of San Diego Magazine, published it’s list of top San Diego wedding venues in its November, 2011 issue. Among the locations listed was Casa Guadalajara in Old Town. 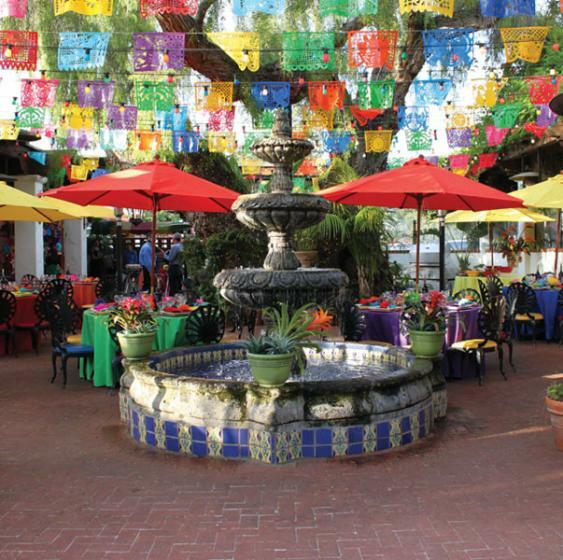 As quoted in the article, “Experience our award-winning cuisine, lively Mariachis & giant margaritas. Plus a highly attentive staff and abundant free parking leads to a fun and festive occasion.” You can read the entire article and see some great pictures of our venue at http://www.exquisiteweddingsmagazine.com/media/Exquisite-Weddings/Fall-Winter-2011/Casa-Guadalajara/. If you’re looking for the perfect location for your wedding, reception or rehearsal dinner we’ll be happy to accommodate you. This entry was posted by The Guadalajaran on November 3, 2011 at 3:29 pm, and is filed under Blog Entries, Catering, San Diego Wedding Venues. Follow any responses to this post through RSS 2.0. You can leave a response or trackback from your own site.